The first-ever ciclovía in Trujillo, Peru. Photo by EMBARQ Andino. 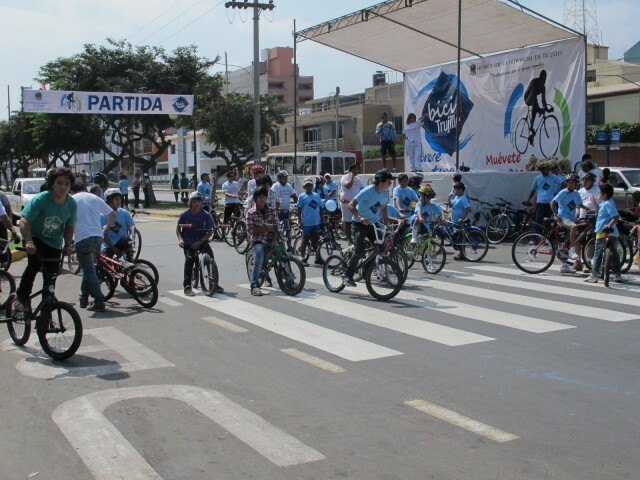 Trujillo, the third largest city in Peru, held its first-ever ciclovía on Sunday, as a result of a partnership between the Peruvian Ministry of Health (MINSA), the National Government of Peru and EMBARQ Andino. This urban car-free event, which literally translates to “bike path,” closed down urban roads to make way for pedestrians and cyclists—with music, hydration, reading and health stations—in an effort to encourage healthy and active lifestyles. In response to the U.N.’s Decade of Action for Road Safety, the Peruvian government approved a national policy for 249 municipalities to identify road safety risk zones, as well as provide financial incentive for cities to engage in ciclovía events. For six hours this past Sunday, the ciclovía closed down two kilometers of road to cars, along Avenidas Antenor Orrego, America Oeste and Juan Pablo II, surrounding the National University in the urban core of Trujillo. In a country where 78 percent of those who die in road crashes are pedestrians, closing these roads brings a new view of road safety to pedestrians. 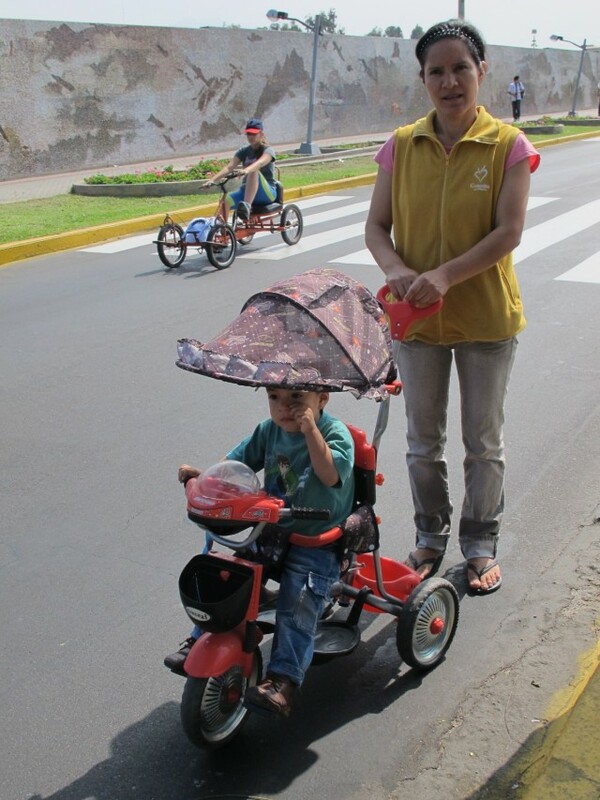 The De Ñigue family hitting the pavement, enjoying the “safe and calm” streets of ciclovía. Photo by EMBARQ Andino. Sybil Settlemyre and Salomon Chavez of EMBARQ Andino were on the ground celebrating with national and local officials, acommpanined by BMX bikers, casual cyclists and pedestrians. Settlemyre chatted with local Trujillanos Eleuteria Vega de Ñique, along with her son Ángel David, about the event. The Trujillo ciclovía is part of a growing international trend of new urbanism and taking back city streets from cars. Later this fall, come celebrate the newest ciclovía in South Africa, as Johannesburg plans to launch its inaugural walking-cycling street fair this September.